We love libraries, and we love coloring books. So we got really excited when we saw that the Seattle Public Library was creating coloring pages for every library branch. Then we got even more excited when we realized that this means you can make your own library coloring book! Find your favorite branch from the list of coloring pages below, or visit the branch in person to pick up a paper copy. To make your library coloring book, just print out all the pages below to make a complete set! (Well, almost complete — the Greenwood branch is closed for renovations, so it didn’t get one.) 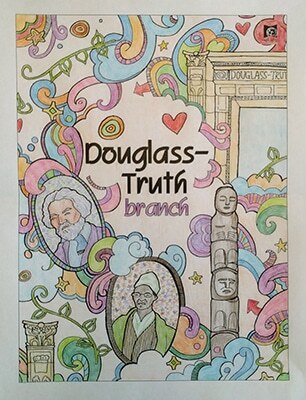 For inspiration, or a cautionary tale, you can check out the Douglass-Truth coloring page that I created. Show us your creations by sharing on social media and tagging us!